Skygoblin, a small indie team made up of three people, has been putting out adventure titles for years now but towards the end of 2018 they decided to try something new. 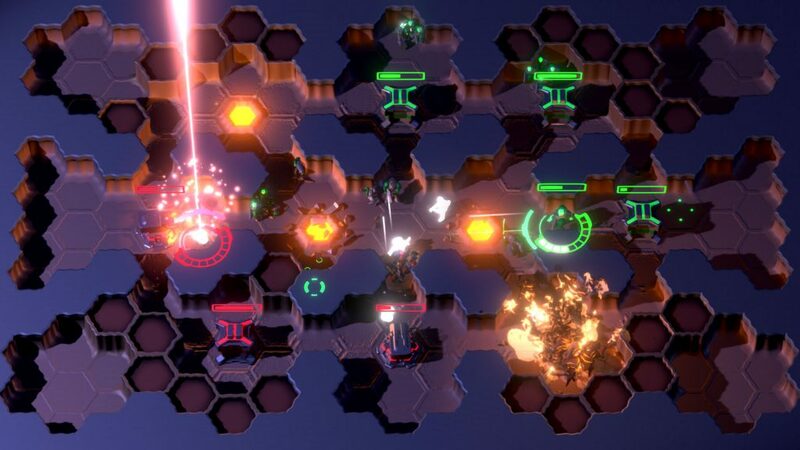 Hellfront: Honeymoon is their new title that combines a twin-stick shooter with strategy game elements. It’s always risky for any team to step outside their comfort zone and try something new and while they didn’t nail everything just right there is some fun to be had on this honeymoon. 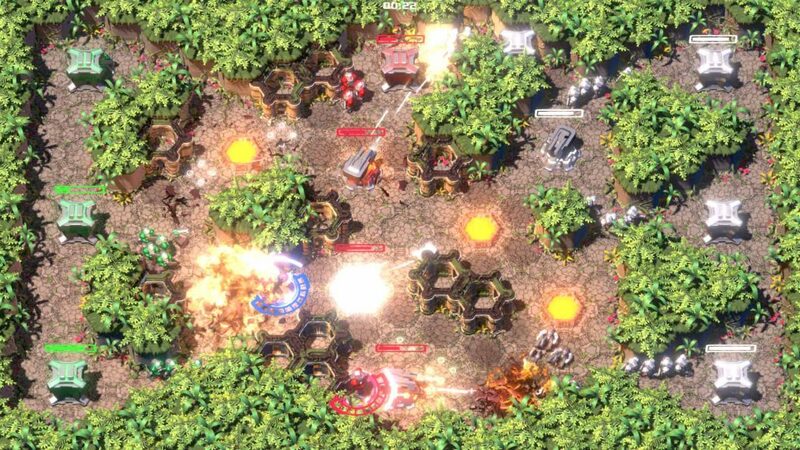 The basic premise of the game sees you playing as a marine on various hexagonal maps. The objective is to defeat all your enemies which you can do by capturing certain areas on the map and then building your offense. 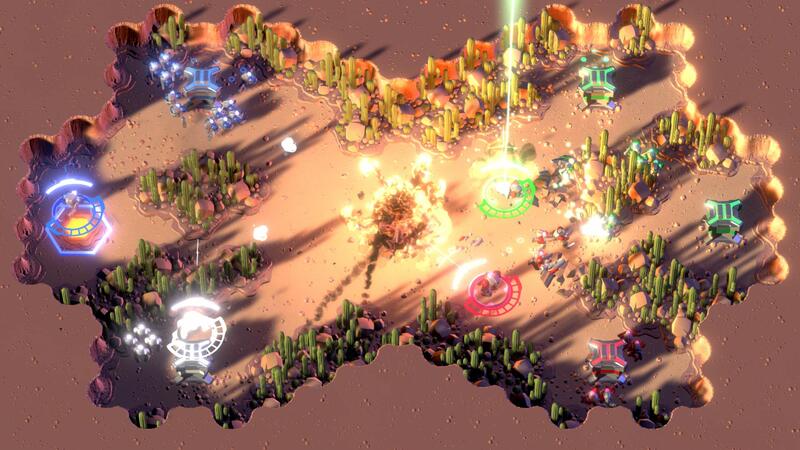 Every space (or honeypot as the game calls them) that you capture lets you build either a turret or a barracks on it. Turrets only last for so long while Barracks send out four soldiers every ten seconds. Like any strategy game you can then send those soldiers to anywhere on the map that you want with the L2 button. With both of these options at your disposal it gives you the freedom to decide how you want to attack the enemy. You can have your soldiers distract them while you try to sneak in and take out the enemy base for instance or gather your forces for a bigger assault. You don’t have much at your disposal though as you are only armed with an assault rifle and your range of fire is quite limited. Your character also can’t seem to take a ton of damage so I found myself dying a lot which can make it risky to try to take a base down alone. Mess up and you can find your entire run ruined due to getting respawned in an unfavorable spot. Every map in the game is different in terms of both difficulty and play time. Some will be long grueling battles while others are over in minutes. Part of my problem with the game though is that it’s a bit of a mixed bag in the difficulty department. One map I found myself breezing through while the next one was really difficult. Then after spending awhile on that one and beating it the next one would be really easy again. I’m used to games starting out pretty simple, letting you come to grips with the mechanics, and then increasing in difficulty from that point on. That really isn’t the case in Hellfront: Honeymoon and it was a bit frustrating at times. There’s a lot to get through here though with three worlds divided up into over 70 levels. There’s a three star ranking system included as well that rewards you based on how fast you beat the level. You can even see how you stack up with the rest of the world with the online leaderboards. 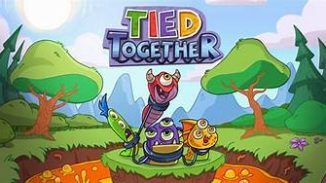 The game also has an option to play with friends in local multiplayer. Up to four players can play together in maps designed for this mode. 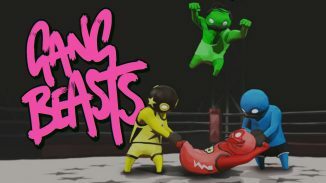 It plays exactly the same as the single player so if you enjoy that and can manage to get some friends together in the same room you can have a lot of fun with it. It’s too bad that there is no online support though. As you can tell from the screenshots the art style in the game is pretty basic looking but the colorful locations were nice to look at. It ran pretty well but does suffer from some performance issues in terms of the framerate dropping when a ton of stuff was happening on screen. 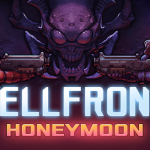 I like the blend of two genres that Skygoblin tried here with Hellfront: Honeymoon but I’m not sure it does a lot to stand out from other games out there. 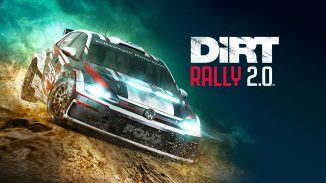 There is a lot to play through here but there aren’t a lot of options in terms of playstyle. Having more than one weapon to use would’ve been nice and having the option to play with friends online would help this be a more accessible party game. It is an affordable game though so if any of this sounds up your alley or if you have the local friends to play with maybe give it a shot. 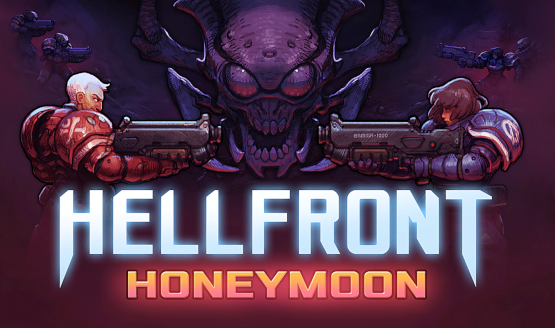 *Hellfront: Honeymoon is out now on PS4, Xbox One, and PC. Reviewed on a PS4 Pro. Review key provided by the publisher for this review.